Usually, when I write a Love Island article a little piece of my soul dies inside, I feel the show is chipping away at my very core and by the time the show’s done, I’ll be an empty husk. 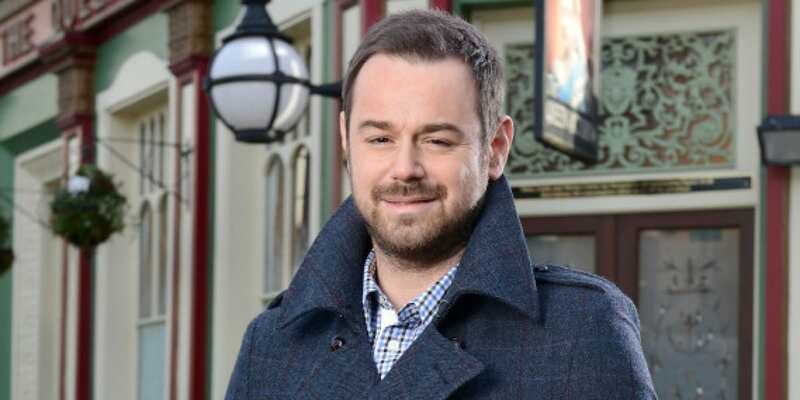 However, this is one article I am more than pleased to write because it’s about the one and only Danny Dyer who, (alongside Bobby Moore, Idris Elba and Wiley) is the crown prince of my native East London. What has me so gassed about a show which I only know about because of word of mouth? Well, it turns out he’s actually going to be stepping into the Love Island villa. The actor, who made his name in iconic British films such as Football Factory and Human Traffic (a personal favourite), made the announcement via Twitter. Ah Mr Dyer, blunt and straight to the point as always. Hopefully, he’ll have some choice words for Jack Fincham, who is currently loved up with Danny’s daughter… Dani. I know it’s a lazy name, but it’s Danny Dyer and he can do what he likes. Here’s hoping his interaction with Jack will have the same level of gravitas and grace as it did when he voiced his opinion on Brexit and David Cameron who, according to Dyer’s ‘reliable’ source, ‘is in Nicé with his trotters up’. His words, not ours. He may also want to have a word with the ITV and Love Island executives who have put his daughter through all sorts of emotions recently. At one point broadcasting watchdog Ofcom were inundated with 650 complaints when Dani was left an emotional wreck after being shown a clip of Jack reacting to his ex-girlfriend, Ellie Jones, arriving in the villa. You know what’s weird about this whole Danny-Dani-Jack trifecta? Jack has a poster of Danny Dyer in his bedroom and now he’s getting cosy with his daughter. How uncomfortable is that? Don’t pretend it’s normal, you’re just lying to yourself. He was just like, ‘oh he’s got a poster on the bedroom wall, your mum’s got a poster on the bedroom wall of me’. No, he just laughed, he likes being mentioned on that show, and yeah he’ll have a cameo on that show, definitely. I know she really does like him because she keeps panicking and she does keep panicking when she likes something because it could all go wrong. I do think she made the right connection. For once I may actually tune into an episode… damn I think my principles have just jumped out of the window.